Nice! 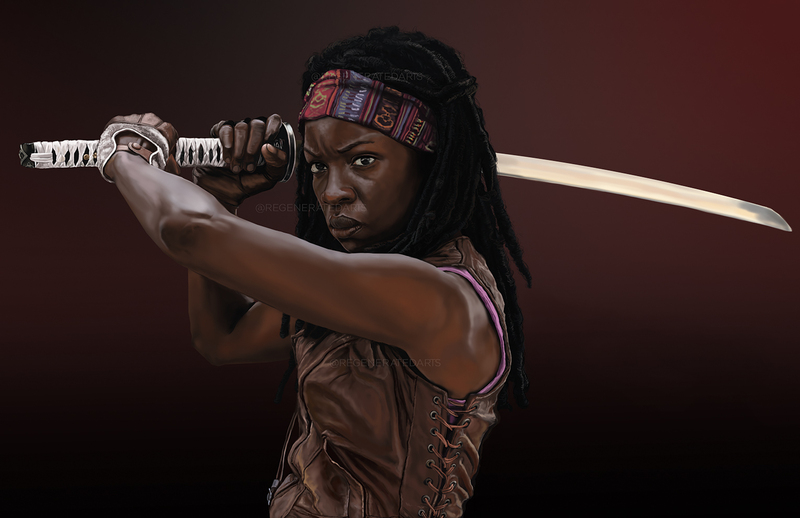 That is very cool image of Michonne. This is amazing! I just started using a tablet and I hope one day I will be able to use it with this much precision. What Wacom tablet do you use? Thank you! I use the Wacom Pen & Touch Medium.